The most recent systematic review was over 5 years ago and since then, a number of additional studies have come out. This current review included 43 articles of 5,135 patients with spinal pain. Seven papers (720 pts) related to people with neck pain and the rest to low back pain. This total included centralization in 56% of the 720 patients with neck pain, directional preference in 18%, and neither in 26%. In chronic low back pain, centralization was found to occur in 44%. 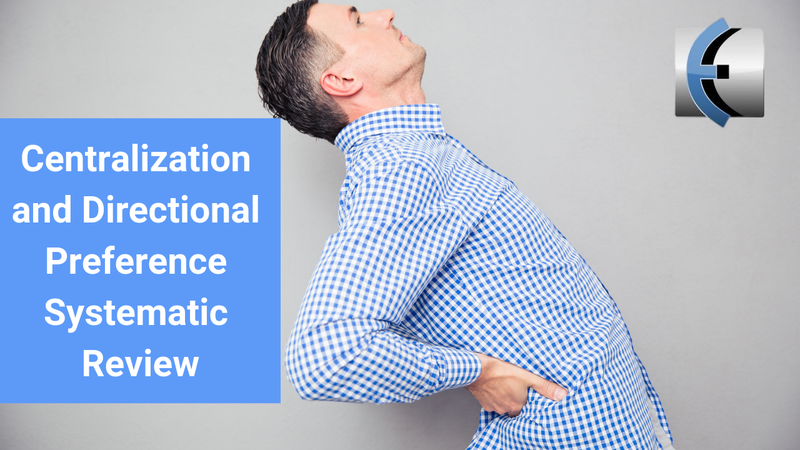 In this review, only a small percentage of patients with acute and sub-acute LBP were included (250) with a majority being mixed or chronic duration of symptoms.